Has your child just figured out how to read? (If not, start by downloading Happi Reads.) Well, then it is time for the next step - spelling. 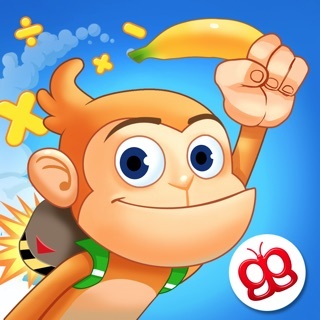 Come along with Happi and try to solve challenging mini crossword puzzles. "Happi Spells" is the crossword spelling game where kids can practice spelling in a fun and exciting way by dragging letter tiles on to 60 different mini crossword puzzles. 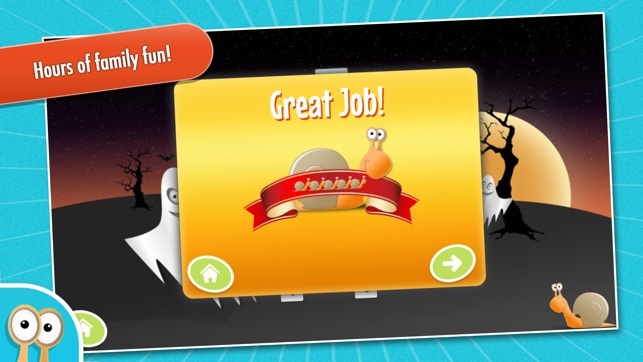 Compete for "snails" and try to improve your own high score. Don't like your score on one puzzle - just go back and try to beat it. The fewer mistakes, the more "snails" you earn. Every solved puzzle will open up a new one. 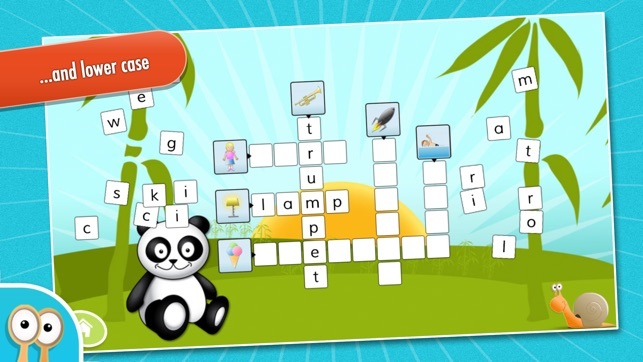 "Happi Spells" consists of 60 mini crossword puzzles in 5 different levels with 12 puzzles in each level. 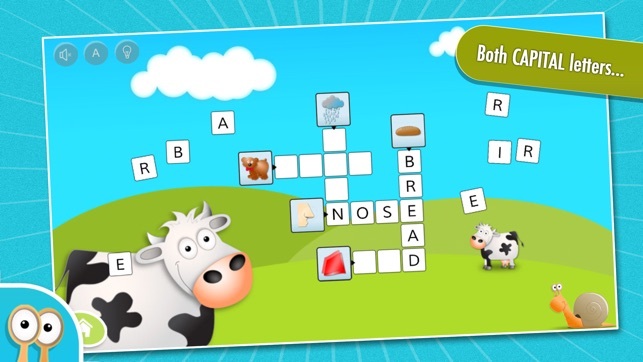 Puzzles are made up of 4-8 intersecting words with the relevant letter tiles spaced around the puzzle. The object of the game is to drag the tiles to their correct places in the puzzle with as few mistakes as possible. Tiles dragged to their correct place will stick. Tiles dragged to an incorrect box will "go back". Colorful images illustrate all words in the crossword puzzles. Minor bugfix for crayfish level. 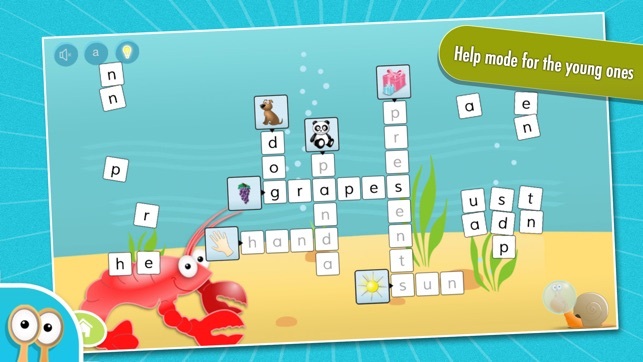 Happi Spells allows players to practice their spelling skills in a crossword puzzle format. The player drags a letter tile to the area in the puzzle; the letter stays in the square when placed correctly, or pops out with an auditory cue that it was incorrect, and the player can try again. As each word is spelled correctly, the word is read aloud. 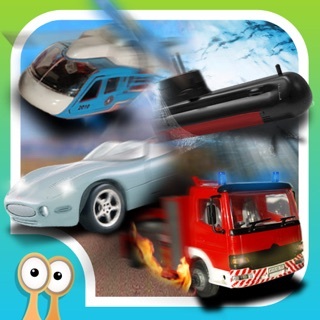 It is very intuitive with great graphics. This would be a fun and different way to practice spelling. 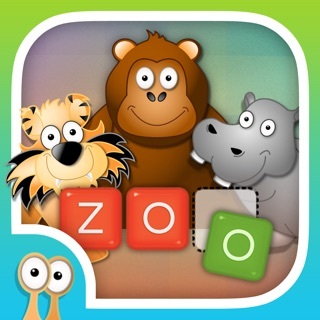 The students I work with enjoyed using this app to practice putting letters and sounds together to make words. They feel like they are big kids doing cross words. It has been a great confidence booster in my struggling students.